To coincide with the end of the 125th Year of Electrical and Electronic Engineering at Queen Mary, Prof Andy Hopper, President of the IET, will give an inspirational talk drawing on his experiences of merging software and hardware, and as a serial entrepreneur. This talk follows the EECS research showcase event. Innovation is an important topic being discussed by governments, companies, and universities in their quest for economic growth. A number of ventures and projects will be described which operate at the interface of electrical engineering and computer science and in some cases combine analogue solutions with digital solutions. This will be followed by suggestions aimed at further improving the chances of winning gold medals in innovation. Andy Hopper is Professor of Computer Technology at the University of Cambridge, Head of Department of the Computer Laboratory, and elected member of the University Council. His research interests include computer networking, pervasive and sensor-driven computing, and using computers to ensure the sustainability of the planet. Andy Hopper has pursued academic and industrial careers simultaneously. In the academic career he has worked at the Computer Laboratory and the Department of Engineering at Cambridge. In the industrial context he has co-founded over a dozen spin-outs and start-ups, three of which floated on stock markets, as well as working for multinational companies. He is Chairman of RealVNC Group and Ubisense plc which between them have received five Queen’s Awards for Enterprise. Professor Hopper received the BSc degree from the University College of Swansea (1974) and the PhD degree from the University of Cambridge (1978). He is a Fellow of the Royal Academy of Engineering (1996) and of the Royal Society (2006). 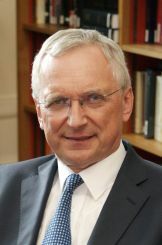 He was made a CBE for services to the computer industry (2007). During 2012-2013 he was President of the Institution of Engineering and Technology (IET).